Geography: South West, Glouchestershire. Most of the Cheltenham council area. Profile: Cheltenham is an affluent spa town, most associated with the girls boarding school Cheltenham Ladies College and the Cheltenham Gold Cup. As well as the horseracing festival it also hosts other notably literary and musical festivals. Economically it is home to several light industrial and financial companies as well as GCHQ and UCAS (the university admissions service). Politics: Cheltenham was held by the Conservatives between 1950 and 1992 and regained in 2015. In 1992 the Conservatives selected John Taylor, a black lawyer, to be their candidate. His selection was unpopular with some in the local Conservative party, who felt he had been foisted upon them by Conservative Central Office and there was a perception that some were opposed to him for racist reasons. Whatever the reasons, Taylor lost the seat to the Liberal Democrat`s Nigel Jones. Jones retired in 2005 after he was attacked at his constituency surgery by a man wielding a samurai sword, severely injuring Jones and killing his assistant Andrew Pennington who acted to restrain the attacker and save Mr Jones`s life. ALEX CHALK (Conservative) Educated at Winchester College and Oxford University. Barrister. Hammersmith and Fulham councillor 2006-2014. First elected as MP for Cheltenham in 2015. ALEX CHALK (Conservative) Educated at Winchester College and Oxford University. Barrister. Hammersmith and Fulham councillor 2006-2014. PAUL GILBERT (Labour) Solicitor and management consultant. MARTIN HORWOOD (Liberal Democrat) Born 1962, Cheltenham. Educated at Cheltenham College and Oxford University. Charity consultant. MP for Cheltenham 2005 to 2015. CHRISTINA SIMMONDS (UKIP) Born Cheltenham. Business development consultant. ADAM VAN COEVORDEN (Green) Educated at Pates Grammar and York University. Works for the Higher Education Statistics Agency. RICHARD LUPSON-DARNELL (Independent) Educated at Brentwood School. Freelance researcher. Alex Chalk is a very smart young barrister. He will be one to watch for Ministerial office. Visited this town for the first time recently. I was hugely impressed by the architecture (particularly in Pitville) and can tell there is some serious wealth here. It struck me as the sort of ‘liberal posh’ place were a cerebral, slightly patrician Conservative might thrive against the odds. Whether Mr Chalk fits the bill I don’t know. I have heard Chalk talk a couple of times (I live here) and he has come across as a Eurosceptic on the ‘loony’ wing of the Tories. It may be that this is not what he turns out to be once in Parliament, but if it proves to be so I do not think he will be particularly popular here. This constituency was created in 1832. Were its boundaries changed at all before 1983? This constituency was created in 1832. Were its boundaries changed at all before 1983? And was it a parliamentary borough before 1918? According to Wikipedia, the boundaries of the Cheltenham seat were unchanged between 1918 and 1983. The main changes in 1918 appear to have been that the seat included a couple of Urban District Council areas just outside Cheltenham, rather than two parishes. I have doubts as to how much actual geographical change this involved. It appears to me that Cheltenham became a Municipal Borough in 1895 but that the parliamentary boundaries were not changed at that time. However, I am having dffficulty checking this on the internet. Perhaps if somebody knolwedgeable about Cheltenham local history (which, living in Kent, I am not) looks at this site they might clarify further. Apparently Cheltenham’s borough status was largely achieved due to the efforts of Sir James Agg-Gardner, who was for many years, though not without interruption, the Conservative MP for this seat. He became Cheltenham’s first Freeman in 1896.From 1917 he was Chairman of the Commons Kitchen Committee. He died in 1928, still an MP. Although only 81 at the time of his death, he was at that point the oldest MP. Just spotted some comments on this thread. MW – surely GCHQ workers are the exception to that ‘public sector workers’ rule. It’s imagine MI5 MI6 GCHQ & the Forces to contain very few LDs indeed. A public school, Oxford barrister isn’t something the Govt is short of either so I imagine he’ll remain a backbencher. What were the wards of the Borough of Cheltenham in the 1983 constituency redistribution? As describved in my previous post, the creation of Cheltenham as a County Borough was largely drive by its tne MP. So I suspect that the seat was largely co-terminous with the County Borough. And its boundaries were not changed between 1918 and 1983. It is quite possible that the coming boundary revision will result in greater changes to the Cheltenham constituency than it has ever seen before. Given that this is the case, I cannot see much point at the present time in researching in detail its historic boundaries. Actually, Frederic, Cheltenham as a constituency will likely stay intact within the Sixth Review. Its electorate is in quota and surrounding seats do not need to take in any part of the borough of Cheltenham (Tewkesbury, which has two Cheltenham wards in its boundaries, can expand elsewhere). It will be interesting to see if the Lib Dems can hold their ground in the town against the Conservatives in the May Council elections. 2012 was a good year for the Lib Dems across the borough, and the party were polling a little higher nationally than they are now. The Conservatives, by contrast, are up quite a lot, and this may help them score some good gains here. Is the Lib Dem party machine still relatively strong in the town or has it dipped since Horwood’s loss last year? Lib Dems on this site keep talking up Cheltenham, so thought i’d take a look. I get the point that they still have considerable local strength, and it voted Remain – and perhaps Horwood is genuinely well-liked. But unlike in many Lib-Con marginals, Cons at 46% are close to a majority vote here. If the Tory vote itself doesn’t drop – perhaps against the national trend – then it’s hard to see where Lib votes come from without other parties being squeezed to a ridiculous level of 7-8% combined. FWIW the UKIP and Labour vote shares are basically equal here too, so ‘other parties’ aren’t necessarily going to break in Lib Dem favour. I’m not sure I can see the Tory vote dropping next time here, unless nationally they are, at best, remaining static in vote share – and even then, there’s no guarantee that this 1st time incumbent will lose votes, Remain or no Remain. But I’m looking at this statistically, without much candidate or very specific local knowledge. What do I know . . .
Well the amount of genuine local knowledge that gets put on here is pretty limited. Mostly it’s just spin, e.g. ‘the local Tory MP here is very unpopular…’ etc. I’m from Cheltenham and, FWIW, I do think that the town is ripe for a Lib Dem comeback – which is not to say that it will be an easy pick up. The Tory floor is quite high here, though I think it will probably be lowered through everything surrounding Brexit. A certain type of patrician Tory would be very difficult to remove, but I don’t think Chalk is a great fit for the seat. If an election were held tomorrow I wouldn’t want to predict anything except that the seat would be close. If the Libs win this it will be because they win back some of the people who used to vote for them but backed the Tories in 2015. Cheltenham is the kind of place where there will be lots of “Liberal Tories” who will have warmed to Cameron but won’t be a big fan of May’s xenophobic filtrations, throw in those who will be peeved at Brexit and its not hard to see the Libs winning back quite a few Tory votes here, the issue is can the Tories win over any of those that voted Lib and thus neuter it? Yes, it’s easy for us all to forget that a significant minority of Lib Dem voters are Eurosceptic and may move in the opposite direction to Cons / Other pro-EU voters, i.e. swap parties effectively. The unknown bit is where and how many. Next election will be another great one for political anoraks. I too think that Cheltenham is a good candidate for a Lib Dem gain. I have a university friend who lived there for a while so I’ve been there a couple of times and have got to hear her take on things (she’s a Lib Dem voter but not an activist and certainly not a ramper). She’s very much of the view that Chalk will struggle to hold on- not a great fit for the seat; decidedly low-key in his support of staying in the EU; and fighting a strong opponent in Horwood etc. I note that 56% of Cheltenham’s electors voted Remain the referendum and demographically, it’s one of those ‘liberal posh’ areas where I’d expect a lot of bitterness about the majority’s rejection of their worldview. Although I would use different language, I think Rivers 10 is absolutely right to say that Conservative voters in ‘liberal posh’ places like Cheltenham will be more Cameroon than in England at-large and that could well be a factor in seats like this in 2020. My bet here is LD gain. Remain, popular former MP standing again, and to my knowledge Chalk has been pretty anonymous. I’ve lived here and have friends involved in local politics. Cheltenham is a very split town. The town centre is very posh and middle class, but the suburbs include large WWC areas with not much going for them (which I presume must vote LD, since Labour are nowhere). More that most towns I suspect the Con vote here is pro-EU and the LD vote anti! So I think this seat is quite unpredictable. I will say though that the local Lib Dem party here always seems visible, well-organised and optimistic. I think this would make the top five for me in a list of most likely LD gains (with Lewes, Twickenham, Cambridge, and Edinburgh West). I actually think they’ll take it more easily than Bath (thanks to Horwood standing again while their Bath candidate seems relatively unknown, and also because they’re closer here. Richmond Park might not be thought of as a gain at this point, though. And NE Fife is not nearly as likely. This is, to me, one of the most clear-cut likely gains. What % was Remain here? Best estimate is 58 remain, 42 leave. 58% isn’t overwhelming, but potentially enough to put Libs back in the game. It will depend on how well organised the local LDs are, if they can make much ground tbh. I don’t understand why I’m the only one who thinks this is a pretty obvious top target for the LDs. Their local party is absurdly well organized, the local council is basically their private fief, the popular former MP is standing again, it is heavily remain, they don’t have much of a margin to make up. I think Horwood will be an MP again before too long. I can’t believe that people are asking whether the LibDems are organised in this town…. like asking in Eastleigh… or Watford… answer is yes..
You think they’ll win it, Antiochian? It will be a tough fight. The Lib Dems here are very organised, and having the CC elections just before will help – the organisational advantage here is huge. There is a very real possibility that we could win 9/10 CC seats (the 10th going to an independent group). As others have intimated, the remain vote here will be more Tory facing, so as long as the party doesn’t neglect it’s traditional areas, the referendum will be to the Lib Dems advantage. This is much more of a ‘Cameron’ seat than a ‘May’ seat. Martin Horwood remains popular, whereas from what I can see, Chalk has been pretty anonymous. In terms of personal vote, I think Lib Dems have the advantage. The problem here is that it will almost certainly need a reduction in the Tory vote. Personally, I expect the Tory polls to reduce slightly (and a small LD pickup) during the campaign, but if they don’t it’s hard to see them losing here, even with the local factors. As a Liberal Leaver… I have mixed emotions… and quite a high dissatisfaction level with the monothematic “manifesto”. I think this will be a Lib Dem gain although it’s not as likely as Bath, Twickenham and Kingston & Surbiton IMO. The Lib Dems certainly have the advantage in terms of local strength however. Lib Dem leaver! Now that’s an odd demographic. I think I’m the sort of voter being drawn into the Lib Dems thanks to Brexit, and you’re the sort they might alienate. Fancy that. My guess here is LD gain, but I do think it’ll be very close. I suspect he means “liberal” in the small-l sense, rather than that he is a Lib Dem voter. I have heard the likes of Daniel Hannan described as liberal leavers, I think it just means the people who voted to leave who weren’t primarily motivated by immigration. I seem to remember that Antiochian is a Lib Dem, but you could be right. Also, describing Daniel Hannan as a liberal is an insult to both liberalism and Hannan. The local election results for May 4th. The County wards differ from the district ones. I have used the 10 wards designated as Cheltenham on the Gloucester CC website but think some areas in these wards (parts of Prestbury and Leckhampton) may fall outside the constituency. Nearly all the other votes represent an Independent councillor in Pittville/Prestbury ward. 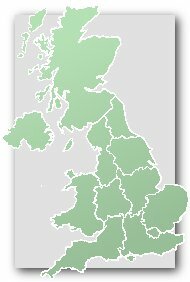 UKIP fought 8 wards in 2013 : a mere 2 in 2017. Turnover way up this year. Total number voting went from 20.5K to 34.7K. So the vote for both the local “Big 2” was sharply up – both in numbers and percentages – but the LDem lead only increased by 1%. The local results before 2015 flattered to deceive, come the General Election result. Given the Lib Dem lead has little changed I think this has to rank Lean Conservative. Agrees. Although quite Remainy, I don’t think the Remainers here will be as motivated to vote against the Cons as in Bath. Jack Sheldon: What’re your reasons to think that? I’ve been thinking the Tories will hold Bath, actually, but lose this, where the former MP is standing again and where the Lib Dems have been doing better locally. Additionally, the Tory majority in Bath is substantially higher. “the Tory majority in Bath is substantially higher”. What are you basing that on? Whoops! For some reason I thought Bath was like, 15%. My mistake. People say crazy things on this site which can be easily verifiable. Of course the Tory majority in Cheltenham is higher than that in Bath! Anyone who knows anything about Cheltenham or Bath will know bath is a much easier target for the lib dems than Cheltenham! Bath has lots of students, academics and young graduates – groups culturally attached to the EU and hence really angry about Brexit. Cheltenham is more the middle class Remain demographic – disappointed with the result, but I would guess mostly not motivated enough for it to effect their vote. Plus Bath has a lot more 2015 Lab and Green voters for the LDs to tap into. Having said that I would not rule out either a Con hold in Bath or a Lib Dem gain in Cheltenham. The Lib Dem campaign in Bath hasn’t got off to a great start and Ben Howlett was a very strong Remainer. Will the students be voting in Bath or will they have gone home by then? 8 June is right on the cusp of when exams finish in most unis, so possible lots will have gone home. bath is a lot like Cambridge, while Cheltenham is more like Oxford west and Abingdon. I honestly am not seeing evidence of the Lib Dems doing that well in Bath. On top of that, their results in Cheltenham have been very positive. The candidate in Bath was installed last week. It’s just not enough time. I’m not saying Bath is a no-go for them, but I’d guess it might be a Con hold, while Cheltenham has had a candidate in place for ages (the former MP).